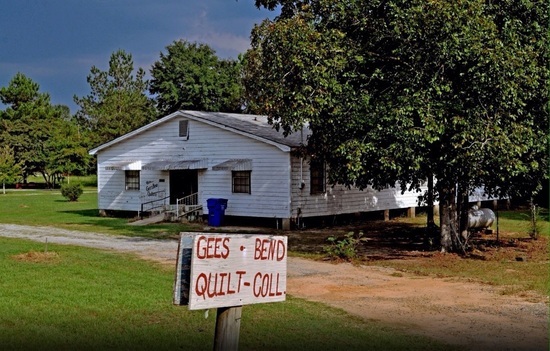 The women of Gee's Bend, a small remote black community in Alabama, have created hundreds of quilt masterpieces dating from the early 20th century to the present. Gee's Bend quilts carry forward an old and proud tradition of textiles made for home and family. Gee's Bend quilts transform recycled work clothes and dresses, feed sacks and fabric remnants to sophisticated design vessels of cultural survival and continuing portraits of the women 's identities. These women bring a unique level of local flavor to the one visual tradition widely practiced by Americans of every social class, ethnicity, religion, and region. They make an American pastime the literal fabric of their lives -- an art that binds the individuals imagination to family, friends, neighborhood, and the greater community. These artists are religious, patriotic citizens who for as long as anyone can remember have made the most beautiful quilts in the world. Their masterworks are products of both tradition and innovation, older women teaching younger women the styles and standards of beauty. Gee's Bend artists show a profound sense of color. And while they learn from one another and know each others styles, they strive to be themselves. Each quilt is both the signature of individual and the banner of their community.